THIS EVENT IS FULL. REGISTRATION HAS BEEN CLOSED. Notorious boundaries. This area happens to be the biggest obstacle in our field. Social engagement at its best. 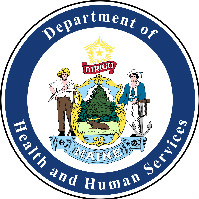 We will be able to share our experiences around cultural competence, diversity, and serving new Mainers as well as working with the aging population. The wealth of this opportunity will come from each of us as we all have different lived experiences. This will be a safe place to share our successes and our challenges. Participants will be able to freely solicit and share lived experiences without judgment. Participants will gain one or two new pieces of information that will better inform practice. As a community of social workers, we assist one another and develop networking possibilities. This webinar will have real face value. Participants will share their webcams and talk directly with others in the community, attending the webinar. The instructor will send out weekly topic areas in advance with a link to the video conference line. Each participant will have a chance to submit scenarios or topics, 1 week in advance. Rural practice and living in Maine. Complexity of being asked to be legal representatives for clients or their family members. Providing in-home or residential therapy. Presence of advertisement, social engagement, and other platforms. Using email, text, or notification apps. What infractions are occurring most frequently? 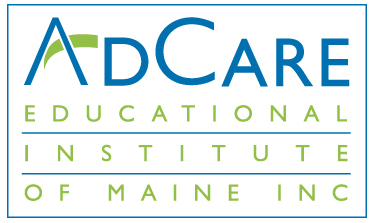 Event supported by AdCare Educational Institute of Maine, a partner of the Maine Center for Disease Control and Prevention, an Office of the Maine Department of Health and Human Services.